A biennial event organized by Messe M?nchen International Group for environmental protection industry. Site contains fair details, range of products, travel arrangements and update news. It organizes specialized conferences, exhibitions, workshops and seminars. Site contains its event schedule, as well as reports and analysis on China's IT and telecom sector. An organizer of conferences, courses, seminars and exhibitions. Site contains the details of its upcoming events. Organized by the China National Packaging Corporation and Sino Link Exhibition Co., Ltd, featuring aerosol products, containers, valves, pumps, solvents, etc. Site contains market data, show report, an exhibit list, and a floor plan. Organized by the International Air Cargo Association at the Hong Kong Convention and Exhibition Centre. Site contains event schedule, an exhibitor list, and an online registration form. Organizes international trade shows, trade missions, business exchange activities, training programs and summer camps. Site contains international trade show info. It is organized by the Hong Kong Trade Development Council and the Modernized Chinese Medicine International Association, featuring Chinese medicine, health products, medical instruments, etc. Site contains its event schedule, application fee and form. An international conference on traditional Chinese medicine and human health. Site contains its news, and event schedule. It organizes and manages conferences, exhibitions and special events in Hong Kong. Site contains its profile, event calendar and contact information. Organized annually by the Hangzhou Municipal Foreign Trade and Economic Relations Bureau, Hangzhou Municipal Economic Cooperation Office, etc. Site contains info on exhibits profile, exhibition time, and booth rates. China smart card industry exhibition and conference. Site contains China's smart card market news and exhibition info. This event serves as an ideal platform to solicit opinions from international academics and industry practitioners on maritime and aviation policies and logistics management. Site contains information about fees, registration, speaker's biography, agenda etc. Organized annually at the Yantai International Convention and Exhibition Center of China, Shandong. Site contains an overview on the facilities, services, and news of the exposition. Exhibits include building hardware, welding equipment, mechanical equipment and plumbing equipment. Site contains its news, floor plan, exhibition schedule and booth fee. A high-end components and embedded systems exhibition and conference organized annually in Shanghai, Beijing and Shenzhen. Site covers an exhibition guide, lists of exhibitors and products, conference program info, fair review and more. Organized by the Hong Kong Trade Development Council. 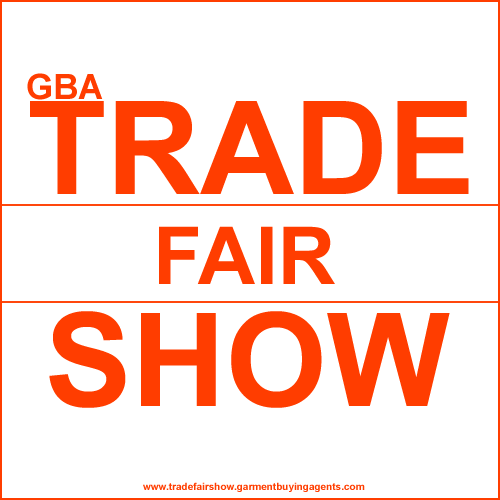 Site contains its fair details, hall plan, event schedule and a listing of exhibitors. Organized annually at the China International Exhibition Center of Beijing. Site includes market trends, news, participation procedures info, fair review, and offers online registration. An event organised by HKPCA, IPC & CCPIT-GZ at the Guangdong Modern International Exhibition Centre. Site contains show review, an exhibitor list, conference program details, application form and press releases. An annual trade event in Shanghai featuring packaging and printing industries. Site covers program highlights, press releases, a list of exhibitors, guides for participants and online registration forms. Organized by the Hong Kong Marine Department and the International Association of Marine Aids to Navigation and Lighthouse Authorities at the Hong Kong Convention and Exhibition Centre. Site contains a general introduction to the symposium. An annual logistics exhibition held in China. Site contains its news, participation cost and a listing of exhibitors. A business event which featuring hardware, tools and DIY supplies. Site describes event's background, a list of exhibitors, scope of exhibits, exhibitor services, travel arrangements and media releases. Online registration is available. An annual furniture fair organized by Koelnmesse GmbH from Germany. With general info of the event, a list of exhibitor, guides for participation and press info. Held at Anhui Exhibition & Conference Center, it aims to promote the economic development of Anhui province. Site contains expo details, a hall plan, activities and arrangement updates, plus an investment guide. An Asian information technology exhibition organized by Adsale at the Hong Kong Convention and Exhibition Centre, featuring e-commerce, Internet, facility management, and more. Organized annually by the Guangdong Government to promote IT industrial growth. Site contains event schedule, costs, services and online registration form. Organized by ITU at the Hong Kong Convention and Exhibition Centre featuring telecommunications, information technology and audio-visual entertainment. A venue for conventions, meetings, exhibitions and special events in Bangkok. Site covers press release, an event calendar, facilities and services, newsletters and a tourist guide. An annual event organized by Korea Importers Association as a marketplace for Korean importers and overseas exporters. Site features downloadable brochures, a guide for exhibitors, fair reviews and registration forms. It offers networking opportunities via conferences, training courses, workshops and seminars. Site contains its profile and a list of upcoming events. An apparel and clothing trade show organized in New Delhi, featuring the latest collections of premier apparel and clothing export houses. 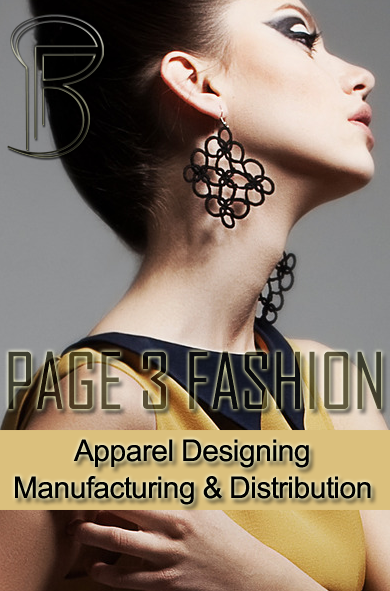 Site contains fashion forecast, industry overview, plus info for visitors and exhibitors. A rubber show featuring tyres, tubes, hoses, industrial components, extruded profiles, moulded goods, latex articles, etc. Site contains expo history, conference highlights, and exhibition floor plan. An organization promoting Indian trade through exhibitions worldwide. Site contains a searchable database of business events by industry. Contains a database of Indian trade shows searchable by industry, date, organizer and city. Jointly organized by the Japan Management Association, Japan Hotel Association, etc, at the Nippon Convention Centre, featuring agricultural products, herbs and spices, frozen food, eggs and poultry, seafoods, meat products, and more. An international food & beverage expo featuring the newest technologies to process every kind of food and drink and the latest food and drink products from around the world to be marketed in the Philippines. Site contains its seminar schedule, as well as exhibitor and visitor info. Organized annually by the Singapore Furniture Industries Council at the Singapore Expo featuring outdoor and office furniture collections. An industry trade show in the Asia/Pacific rim, featuring furniture and interior design ideas from all over the world. Site contains info on the organiser, participation fee, terms and condition. It is organized by Avon Weighing System Pvt Ltd. Site contains info on the exhibition venue, stall layout and rates. Hosted by the organizing committee for International Olympic Fair Seoul at Olympic Park, with an aim to foster the international exchange of sports and leisure industries. One of the few exhibition companies worldwide to organise 362 shows a year. Site includes its profile, exhibition calendar, and visitor info. Organized by Media2india.net and Penton Media at New Delhi featuring the latest technology, content, applications, services, and tools providers.